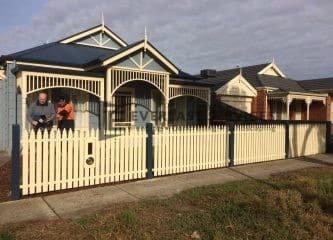 The owners of this home wanted a fencing solution for their home that would provide them with privacy and security, without sacrificing on style. They still wanted to add something to their home that would increase curb-appeal and value, and we had the perfect option. 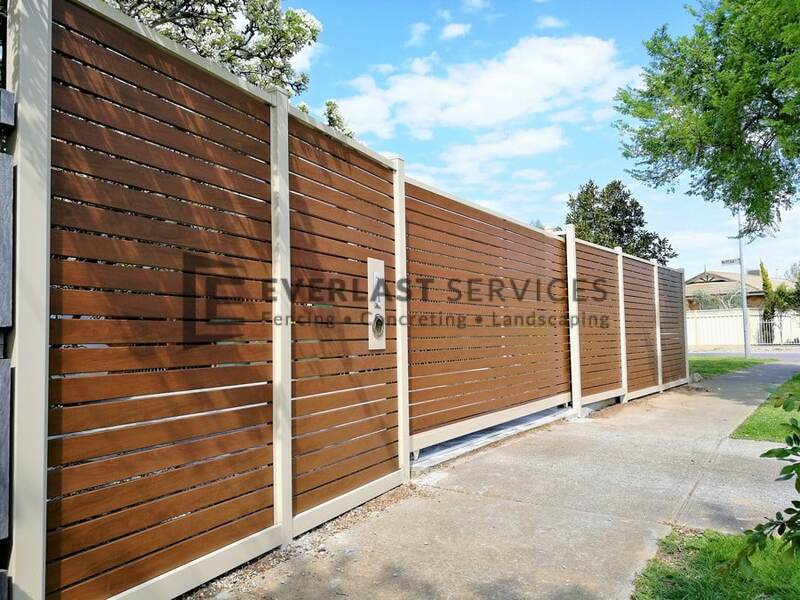 We love aluminium slat fencing because it allows us to satisfy all of our clients’ needs with one incredible product. The panels look amazing. They give all the natural warmth of wood panelling, except they are basically maintenance-free, cheaper and they will last forever. Instead of providing our clients with something they would have to treat and stain every year they ended up with a ‘set and forget’ solution. We chose the primrose posts to provide a nice contrast with the panels, while still maintaining that rich, warm look. The thing that is really unique about this project is that we manufactured all every single part. 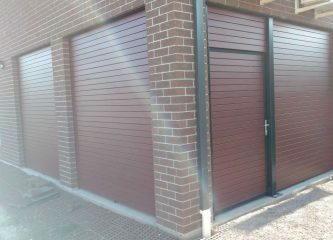 We made the slats, the posts, the letterbox and even the sliding gate. This allowed us to deliver tremendous savings to our customers, and maintain quality control. 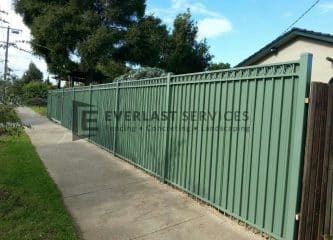 The finished product is a sleek, stylish fencing solution that will protect their property while creating a point of difference. The sliding gate is an extra touch that provides an easy, and impressive entry point to their home. Another happy Everlast customer and we couldn’t be prouder of our team. From the fabricators to the installers, everyone has worked hard to uphold the standards that we have become famous for.